Why is regifting considered a social faux pas? You’re taking something that still has value in it and giving it to someone who can appreciate that value. It shouldn’t be embarrassing to slap a bow on that food processor you never used, or the coffee table book you never opened, and send it on to someone else. Marketers in particular should never be timid about regifting—or as we call it, “repurposing”—content. Yet there are plenty of times when we let valuable content gather dust. You might be afraid of overexposing your content to people who have already seen it. Given how much time you spent creating and promoting the content, it seems like a valid concern. In reality, though, even your most attentive audience will not see everything you publish. And that’s to say nothing of the masses who aren’t hanging on your brand’s every word. It’s worth repurposing content into as many different formats as you can, changing up the creative and crafting fun, themed pieces of content. Your audience is not a homogeneous group that likes to consume content in the exact same way. 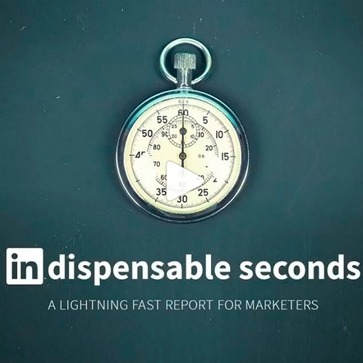 Those who would never read a 1,000 word blog post might watch a 3-minute video, for example. Here are 20 creative ways to make your content the gift that keeps on giving. It’s easy to make SlideShare presentations from a gated eBook or slides from a webinar. 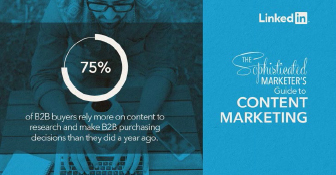 But most marketers don’t actively create content for SlideShare, which is a missed opportunity. Take your latest listicle post, or a post with lots of great stats, and turn it into a quick SlideShare with a CTA at the end. Use PowerPoint or Haiku Deck for quick & simple design. For example, we brought this blog post to life by giving it a new theme and picking out bite-sized nuggets of information so the reader could more easily digest the content. If your Big Rock is big enough, a single section of it might have enough value to stand on its own as a gated asset. For example, we pulled the Three Types of Thought Leadership eBook out of the Sophisticated Marketer’s Guide to Thought Leadership. Both assets performed well, and we were able to pick up an additional audience that was drawn to the specific sub-topic. Repurposing can work both ways for podcasting. First, you can use your published content to fuel discussion on your podcast. Invite influencers who participated in Big Rock content to be interviewed on the show. Second, you can repurpose podcast episodes into videos and blog posts. 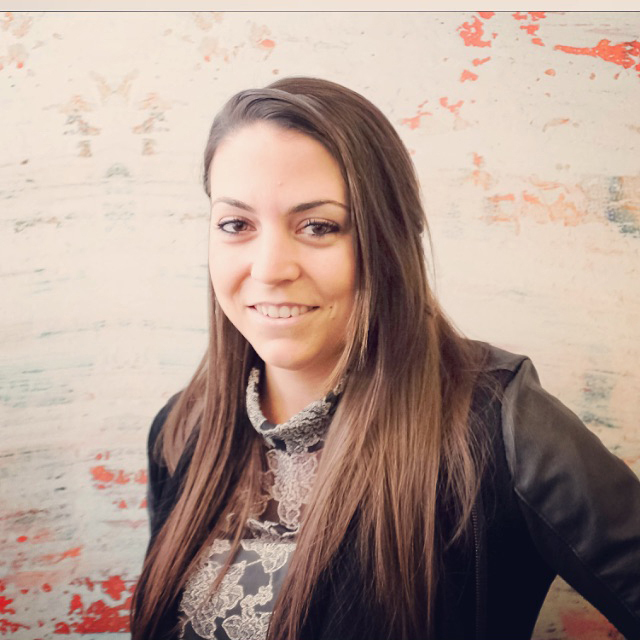 We heartily recommend a Big Rock approach to content marketing at LinkedIn Marketing Solutions, which means we’re constantly syndicating content from our longer assets. For example, the Sophisticated Marketer’s Guide to Content Marketing featured interviews from an impressive panel of marketing experts. We asked many of the influencers the same question, then compiled their various answers into a blog post. Does your latest eBook feature some truly knockout stats? Does your last whitepaper include some great research you want to highlight? An infographic is the way to go. You can bring in a new audience with the visual flair, then include a CTA to download a gated asset. 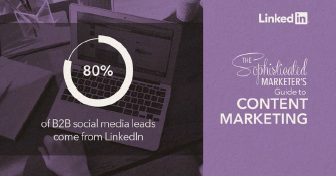 For example, this infographic was derived from the larger, LinkedIn Content Marketing Tactical Plan. This is something we’re just starting to dip our toes into, but the team is pretty excited about it. Treat your eBook like a New York Times bestseller and turn it into an audiobook. You don’t have to go for broke on the production—a mic or two and a little Creative Commons music will do—and you can make your work accessible to the visually impaired and the chronically busy at the same time. For example, we turned The Sophisticated Guide to Content Marketing into an audio eBook. We even have a 'Behind the Mic' video. In kind of mini-infographic form, you can pull the most intriguing stats and quotes from your asset and turn them into social tiles to share on Facebook, Twitter, and Instagram. Canva and Pixlr are our go-to tools for simple and painless image creation. Here are some examples we pulled out of our Sophisticated Marketer's Guide to Content Marketing. Repurpose your blog or portions of an eBook into short videos for your social media accounts. For example, we run a little series called “Indispensable Seconds” on our Instagram that features a quick roundup of blog posts for the week. They’re quick to record, fun for people to watch, and help drive traffic to the blog. Webinars combine video and interactivity to give you a direct line to a potential audience. Invite an expert—or customer or prospect—to join you and discuss your latest eBook, a problem facing the industry, or anything else of interest to your audience. Consider making recordings available after the fact, and making it a series so people can get in the habit of tuning in live. For example, we made the LinkedIn Millennial Playbook into an interactive award-winning webcast. Below is the deck. Take some insights from your eBook and guest blog it at another publication with a complementary audience. I took tips from the Secret Sauce: How LinkedIn Uses LinkedIn for marketing and edited them into a blog post for Social Media Examiner, earning traffic for their site and cross-promotion for our blog. Take excerpts from your long-form content and publish them on LinkedIn, including a link back to the original resource. You can reach a broader audience on LinkedIn, start a conversation, and help drive traffic to your profile and your Company Page. If your content sparks a conversation on social media, in comments or during a webinar, you can quickly draft a follow-up blog post that summarizes the discussion. For example, you can ask readers to respond on Twitter with a dedicated hashtag, then present the best tweets in a follow-up blog post. For example, when we hosted a webcast with Spredfast and received so many questions about using LinkedIn for free that we didn't have time to answer them all. But we did compile the unanswered questions and answered them in this blog post. We also source questions from our audience using #AskLMS and then answered them via a blog post and a short video. This is the opposite of a Big Rock strategy. We don’t talk about it as much, but it’s definitely a solid repurposing tactic. We did it with the Hybrid Marketer eBook. It started as a series of blog posts. We added a little design and an introduction, and it was a powerful asset. Don’t let your subscriber email list go to waste. Get the top tips from your blog posts or from long-form content and compile them into a quick, easy-to-read newsletter. Take your most useful blog material and turn it into an online course. Add a few worksheets and quizzes your “students” can download for extra value. For example, LinkedIn Learning has courses that originated from influencers’ contributions to LinkedIn Marketing Solutions’ eBooks. If your work features influencers who are published authors, include a few questions about the book in your initial outreach. Then use their responses to create a post recommending the book. You can expose your audience to a useful resource and help your influencer with promotion. Digital content is great, but physical content is such a rarity that it never fails to turn heads. We printed out copies of our greatest hits and bring them to conferences, and people love them. 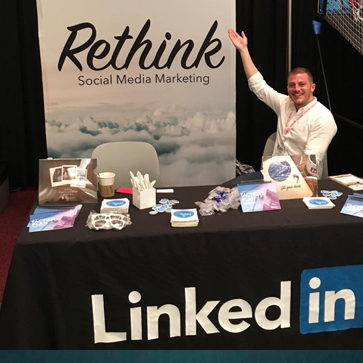 For example, we took copies of our LinkedIn Content Marketing Tactical Plan to Social Media Marketing World last year and they served as a great value add for our booth. Use a site like Qzzr to create a quiz based on your eBook or blog post. Promote your quiz on social media and offer incentives to encourage participation. If your influencer content includes interviews, you can use each individual interview as a blog post, as I mentioned above. But if you ask each interviewee the same set of questions, you can use each question to write an expert round-up, like this post in which we feature our interviewees’ collective definitions of native advertising. Round up all the repurposing you’ve done recently and compile examples into a tips post for your blog readers. Like the post you’re currently reading. Repurposing content is a fantastic way to fill out your editorial calendar while adding value for existing readers and attracting a new audience. As long as the content still has value, don’t be shy about regifting it over and over again. 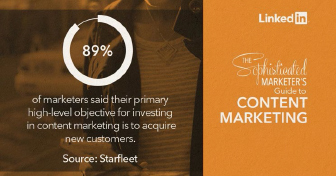 For more content marketing tips and repurposing ideas, download The Sophisticated Marketer's Guide to Content Marketing.